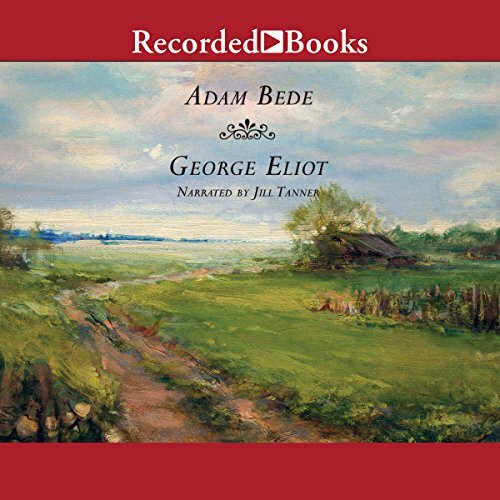 "Examine your words well, and you will find that even when you have no motive to be false, it is a very hard thing to say the exact truth, even about your immediate feelings...."
Adam Bede (1859), George Eliot's first full-length novel, marked the emergence of an artist to rank with Scott and Dickens. Set in the English Midlands of farmers and village craftsmen at the turn of the 18th century, the book relates a story of seduction issuing in "the inward suffering which is the worst form of Nemesis". But it is also a rich and pioneering record - drawing on intimate knowledge and affectionate memory - of a rural world that we have lost. The movement of the narration between social realism and reflection on its own processes, the exploration of motives, and the constant authorial presence all bespeak an art that strives to connect the fictional with the actual. Great story although some passages were quite long (love the fast forward feature). The narration however was incredible! Every character was perfect!